This meeting was called to give the opportunity to all islanders to: “Come and meet with the Board and Volunteers. Share all those ideas you have for development and improvement of the Centre”. 12 people attended, including 5 directors. The meeting opened with a reminder about the purpose of CELM. 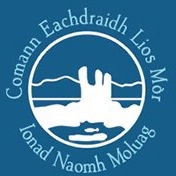 The Memorandum and Articles state that it was formed: “to benefit the community of the Island of Lismore, with the primary Object of advancing the education of the public about the history, heritage and culture of the Island”. Central to this purpose are the collections: objects, documents, images and electronic records (many of which relate to the Gaelic traditions of the island). CELM exists to collect, protect and preserve, and provide access to these collections. The other activities within the Centre – the café, museum shop and library exist to support the primary object. With this in mind, after very detailed discussion, the meeting agreed several recommendations to the Board of CELM. These will be considered at Board meetings in 2018, when directors will consider whether they can be met within existing resources. 2. Involvement of the Next Generation. Develop a closer relationship with Lismore Primary School including at least one annual visit. Continue to include features for children in the display each year and update the quiz/treasure hunt. 3. Need for volunteer Support. Repeat the Spring campaign of 2017 in 2018 to attract more desk volunteers. Develop job descriptions for potential volunteers to act in support of the management of the centre; and as assistants/successors to the curator team. Run late winter workshops on the collections, for those interested in taking part. 4. The Natural Environment. Consideration of a future nature feature in the museum room, and work with Lorn Natural History Group, led by local members, to feature the natural environment at the site, possibly by a large outdoor interpretation board. 5. Library. Consider ways of promoting the public library and increasing access to and use of the specialist library. 6. Increased use of the Centre by Islanders. The Board and Taic are invited to consider offering a discounted rate for meals and drinks in the café, possibly by the use of a loyalty card. The café might gain a clearer identity by displaying its policy of using local materials – and increasing their use. The Taic Board is invited to consider whether the markup of island-based crafts in the museum shop might be reduced.